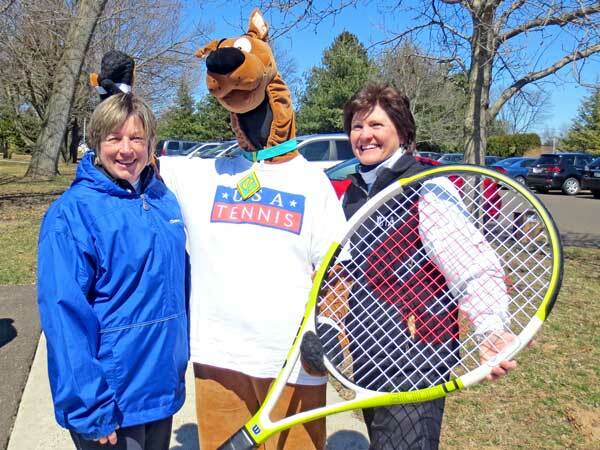 Bucks County Tennis Association - Times Publishing Newspapers, Inc. According to a September 17th, 2018, Forbes article, a recent Danish study indicates playing tennis may extend your life by nearly 10 years – and the Bucks County Tennis Association (BCTA), Inc. can help you do that! The BCTA’s mission is to promote healthy, social, and educational opportunities within the county through the lifetime game of tennis. The non-impact sport is a great way to meet people and make friends, is suitable for all ages and skills, and yields numerous health benefits: lowering blood pressure, increasing bone density, reducing stress, decreasing body fat, and improving reaction times. The nonprofit community tennis association provides fun and affordable tennis programs for ages four to 94+ by partnering with over 20 recreation agencies, school districts, and tennis facilities to provide various coed tennis instruction and competition year-round. A majority of the programming takes place on public courts and annually services about 1,200 players. Plus, the BCTA annually brings tennis to over 500 youths via physical education programs, school assemblies, and other gratis programming. BCTA coaches are enthusiastic in sharing their love of tennis and have completed at least one tennis coach workshop as well as a current background check. Using the games-approach method, they adapt play via modified racquets, nets, and balls, and adjust to skill levels through tailored games/drills. The BCTA believes in tennis’s educational value, continually encouraging commitment, respect, and sportsmanship. Each summer, the BCTA hosts a USTA-sanctioned tournament for Boys’ and Girls’ in the 14-, 16- and 18-and-under age divisions. And during winter months, it offers indoor tennis at four facilities. In 2014 and 2016, the BCTA spearheaded blended line courts in several public parks – 100 percent of which were installed at no cost to taxpayers. The number of blended-line courts in Bucks ranks it No. 1 for having the largest concentration of “kid-compatible” courts in the country, which are also enjoyed by adults. The past three years the BCTA was recognized by USTA Middle States as a “Premier Provider” for its programming excellence. The association is looking forward to hosting the 2020 National Public Park Tennis Championships, which will be the first time in nearly a century that this event will be in the Philadelphia area! The BCTA’s final indoor season runs from late February through March, and its first of four outdoor five-week seasons of Learn, Practice & Play begins the week of April 13th. For program details and registration, log onto www.buckscounty.usta.com.